Today is February 20th, and as you may also know it as President’s Day. On this day we remember some of the greatest leaders in our country’s history. The White House website has an informative webpage with information about all those to have served as President. Click here to learn more about the individuals that have held the post. Now for what happened last week. providers in the area. It was pleasure getting the opportunity to meet good people and see how they go about providing such quality care. I am a major supporter of not-for-profit health care systems like SIH and quality healthcare providers everywhere. On Wednesday, Governor Rauner addressed the General Assembly and presented us with a balanced budget. This is the third time the Governor has done this since he assumed office. We have been without a budget for too long and I strongly urge my colleagues to consider the Governor’s proposal. 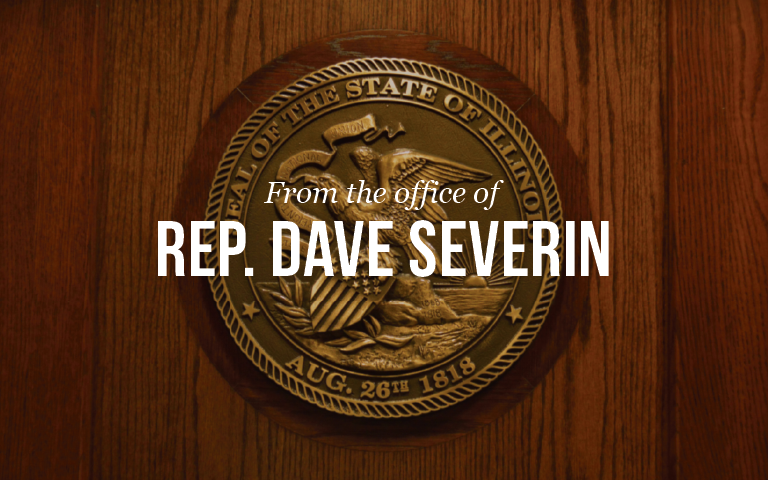 You can read my full statement on the Governor’s Address by Clicking Here. On Thursday, a St. Clair County Judge ruled against the Attorney General’s motion to block pay checks to state workers. This was a very responsible decision by the judge. I have said from the beginning, state workers provide important services and need to be paid for this state to function properly. Read my full statement on the judge’s decision here. My office in Marion is staffed Monday through Friday, from 8:30 am to 4:30 pm. You can email me directly message through the Contact Form on my website at www.repseverin.com. My staff and I are here to serve you! So please feel free to share your opinions with us.